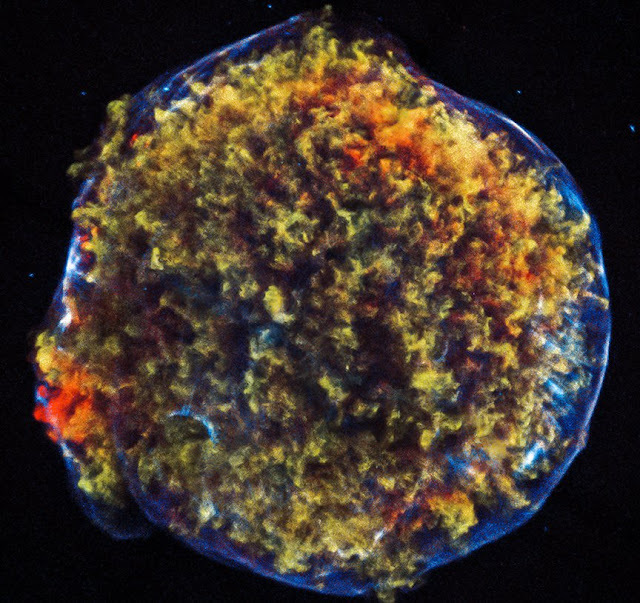 Since much of the material being flung out from the shattered star has been heated by shock waves − similar to sonic booms from supersonic planes − passing through it, the remnant glows strongly in X-ray light. Astronomers have now used Chandra observations from 2000 through 2015 to create the longest movie of the Tycho remnant’s X-ray evolution over time, using five different images. This shows the expansion from the explosion is still continuing about 450 years later, as seen from Earth’s vantage point roughly 10,000 light years away.